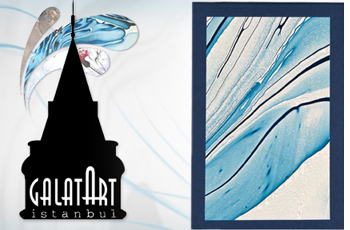 Marbling with "Ya Hafiz" Calligraphy is designed and done by artist Nesime Kantar. Two different techniques was used in the art piece. 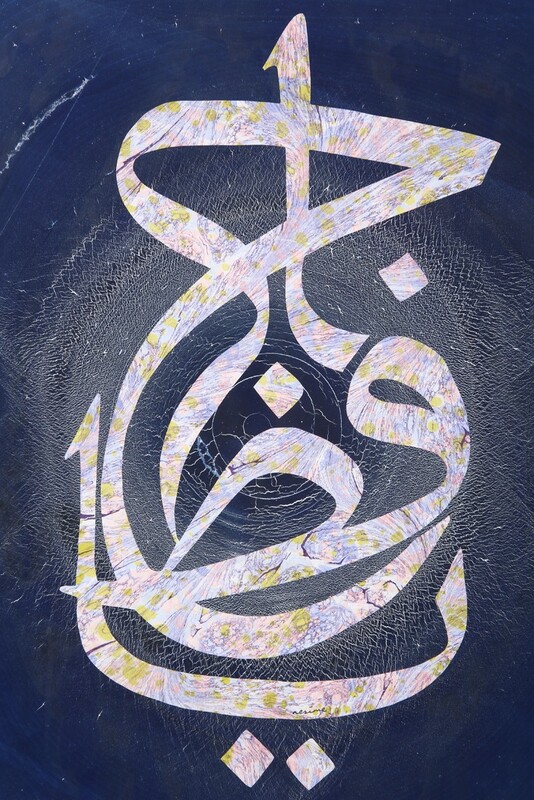 The surface is done by the Lahor technique, the second marbled paper was cut in the form of "Ya Hafiz" and attached. "Ya Hafiz" is one of the 99 names of Allah in Esmaul Husna which means the protector. 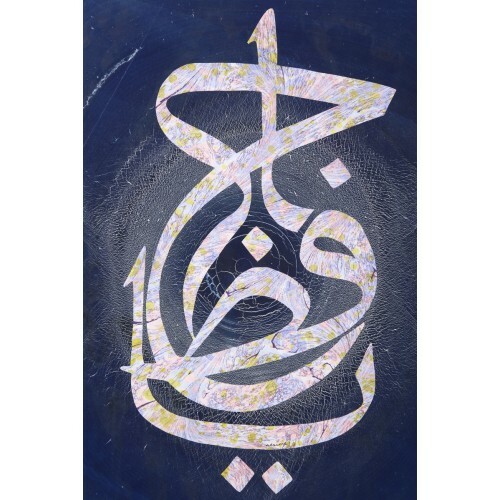 "Ya hafiz" is used to be hang on the front doors of the houses in order to be protected from the evil.